This Award-winning campaign conceptualized & produced by Define International for Malaysia Airports Berhad seeks to inculcate a new international standard of customize service excellence culture & delivery amongst 15,000 frontliners in KLIA, klia2, Langkawi International Airport, Kuching International Airport, Kota Kinabalu International Airport & Penang International Airport. With a detailed activation concept and delivery method, Define has not only achieved its intended objective but exceeded it as well. With its success on our 1st year of its implementation, the campaign themed ‘TOUCH’ will be expanded in a new 5-year delivery plan. The ‘TOUCH’ success and its activation concept was further recognised in winning the GOLD & SILVER awards in the Marketing & Excellence Award Ceremony in 2013 by Advertising & Marketing Magazine. In 2014, this campaign was also recognised to be amongst the best in ASIA via the top 5 best concept nomination in the Loyalty Engagement Awards Ceremony in Singapore. Recently in 2014, this campaigned has earned gained a distinction of being the best in Government Sector Marketing by winning a Gold Award in the Marketing Excellence Award 2014. 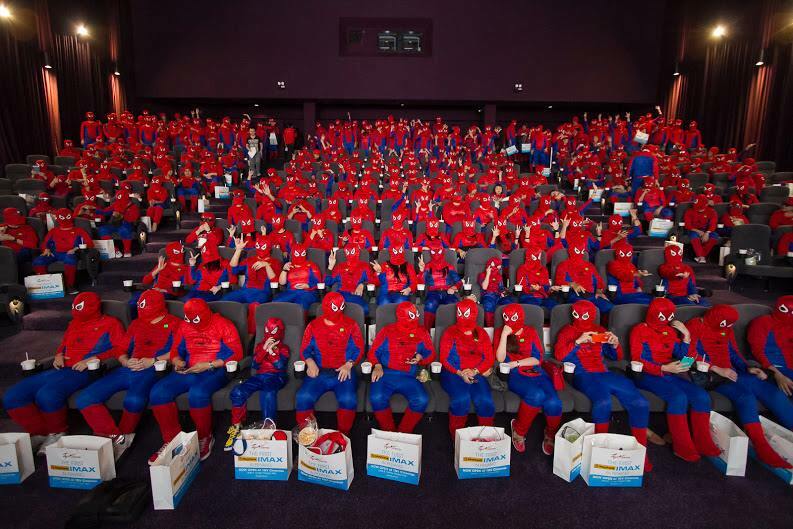 Define International was selected to conceptualize and be a part of this Guinness World Record setting event which saw close to 400 movie-goers dressed as “Spiderman” gathered at TGV Gurney Paragon in conjunction with the launching of the first IMAX cinema in Penang. The celebrations continued with a two-day carnival at the concourse area which saw patrons winning exclusive TGV merchandise while enjoying themselves at the many games booths at the event. 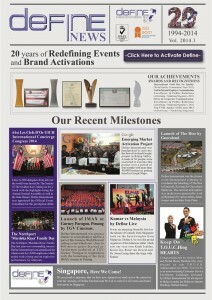 Activating the biggest activators of the world! After a lengthy and detailed selection process of short listed concepts and activation methods, Define International was appointed by GOOGLE to activate their first ever business listing project in Malaysia! A dedicated team of 25 professionals were appointed by Define solely for this 4 month project with detailed targets and objectives to be achieved. Once again, Define International exceeded expectations and completed the delivery of the project 2 weeks in advance with a total listing of 31,000 businesses in Malaysia! 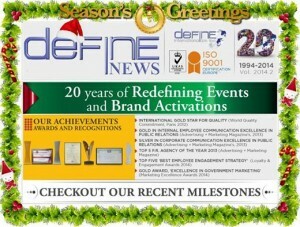 With a new extremely satisfied client, GOOGLE, now in our portfolio, Malaysia and Asia can soon expect more unique activations by Define International! 2 Years in the making! This internationally recognized event, the International Concierge Congress 2014, was a winning bid by the Malaysian Concierge Congress team to host it here in Kuala Lumpur, Malaysia. 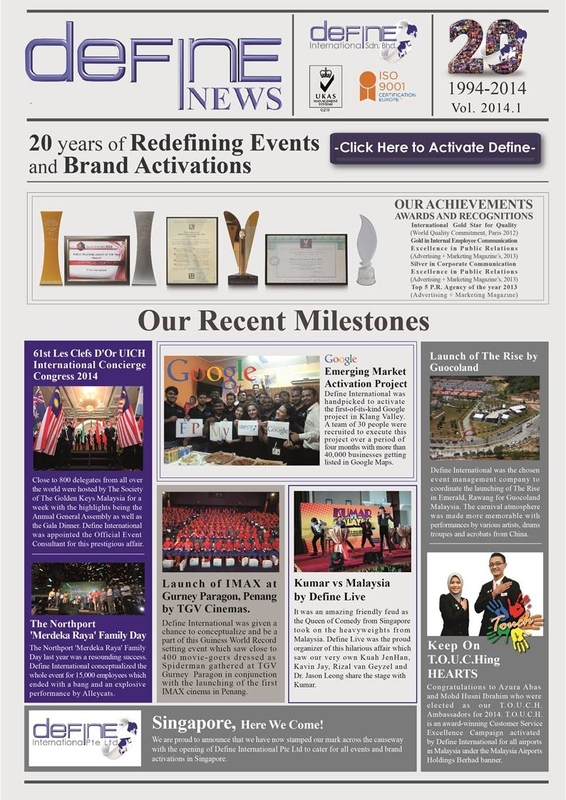 With the assistance of Define International, this bid was secured and the event was delivered to perfection. This first official ‘Visit Malaysia Year 2014′ International Event recognised and supported by Ministry of Tourism, Myceb, MATRADE & other leading organizations, was a resounding success that has set a new benchmark of delivering this event across the globe in the future. Define International now seeks to expand the success of this event by providing professional event consultation and management services to other host nations and international congress teams for the next International Congress across the world. Define International (The Event Organizer) does it again. Probably the first or the only event consultation company to have launched a ship that is 9 stories high and 2 football fields in length! 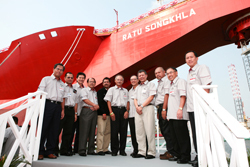 If organizing an event in Singapore is a task, organizing it in Keppel Shipping Yard, which is the largest shipping yard in the world, is a task above all. Not only did we manage the event with compliance of all its ISO standards and SOP’s, we went a step further by setting a new SOP for production of events in Keppel. Once again, it was a job well done by our professional team of consultants who had to endure weeks of studying details of the ship and venue to execute the event with remarkable success. 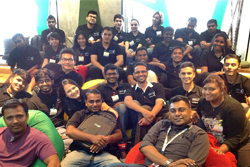 It is the success of this event that made Define renown amongst its competitors in Singapore. Now we truly believe the standards we practice in delivering concepts and events are uniquely different not only in Malaysia but amongst neighbouring countries too. Throughout the 20 plus years in this industry, Define International as an event organizer has launched it all. When the opportunity of launching the first digital IMAX theatre was awarded to us, we grabbed it with huge excitement. After winning the bid against leading competitors, our specifically assembled team began to put in place a unique launching concept. With careful & detailed understanding of the extremely unique features of the theatre, its state of the art projectors and control panels, we developed an impressive and creative multimedia with 3D effects to match this theatre. 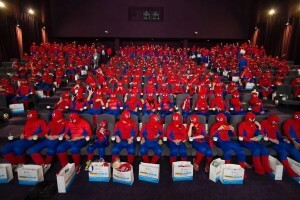 The success of this launch has initiated a remarkable relationship between Define International and TGV Cinemas. Looking at the huge potential of TGV cinemas as an event venue, Define has conceptualized a unique proposal to bring and manage events at TGV cinemas across Malaysia. This would mark another milestone for the Define Team as we are now the preferred events consultants for events at TGV Cinemas! This achiement speaks for itself with regards to the success of the IMAX Digital Theatre Launching. 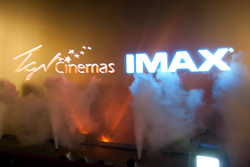 In 2013, Define International was again selected to launch the brand new IMAX theatre in 1 Utama Shopping Centre. Once again, its unique launch concept and overall event experience became the talk of the town and industry!